Website Design Alexandria VA | When PD Systems with multiple locations in Alexandria, VA desired a website redesign. PD Systems wanted to partner with a company that understood their core business units doing business with the federal government. PD Systems reviewed the VISIONEFX client list of website design GSA consultants,-GSA contract holders, and knew we were the perfect fit. Many of our website consulting clients are veterans and active duty military who demand the very best in website excellence. 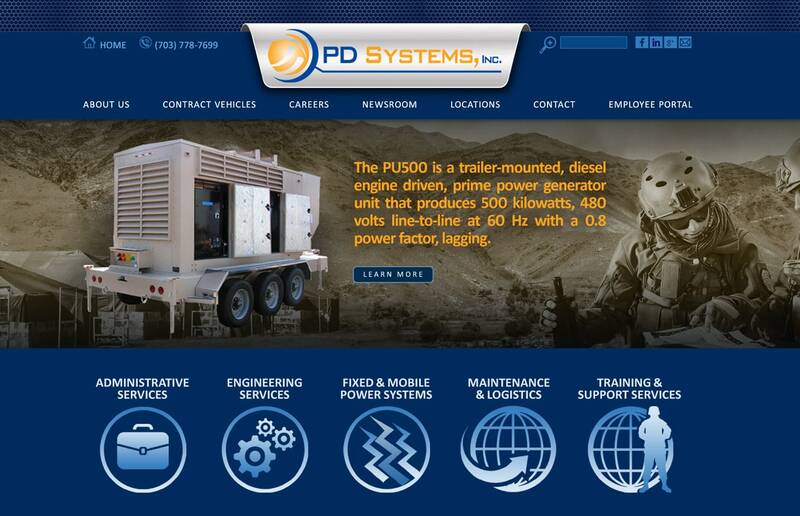 This recent web design Alexandria VA project for PD Systems provides a competitive branded website presence in a highly competitive space. When searching Website Design Alexandria VA look no further than the design professionals at VISIONEFX. The website features an advance product gallery with innovative detail pages, photo galleries and inquiry form with product name importing. VISIONEFX was also able to import legacy blog posts to preserve SEO page placement and links cultivated over many years. VISIONEFX develops and designs websites for business and provides web design in Virginia and throughout the USA.